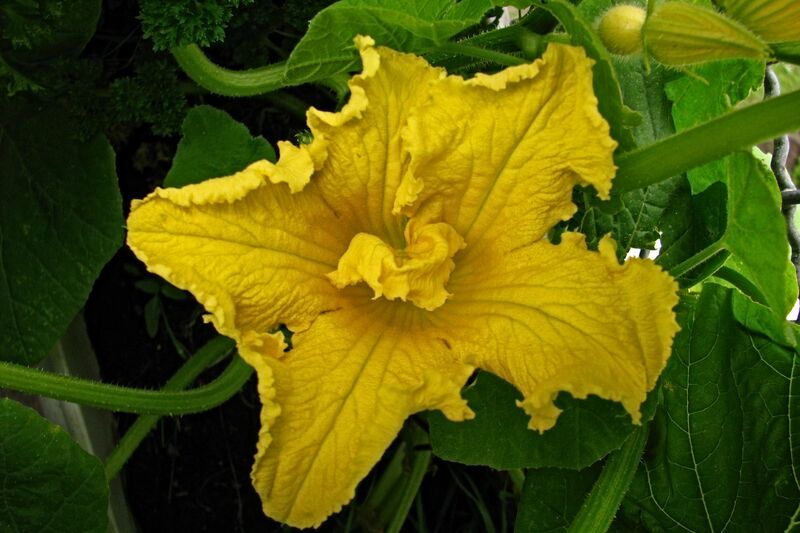 I love the pumpkin flowers, they’re so deliciously unkempt :-). 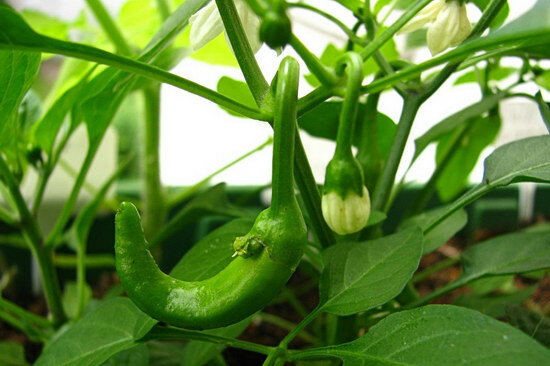 Chili production is coming along fine :-). 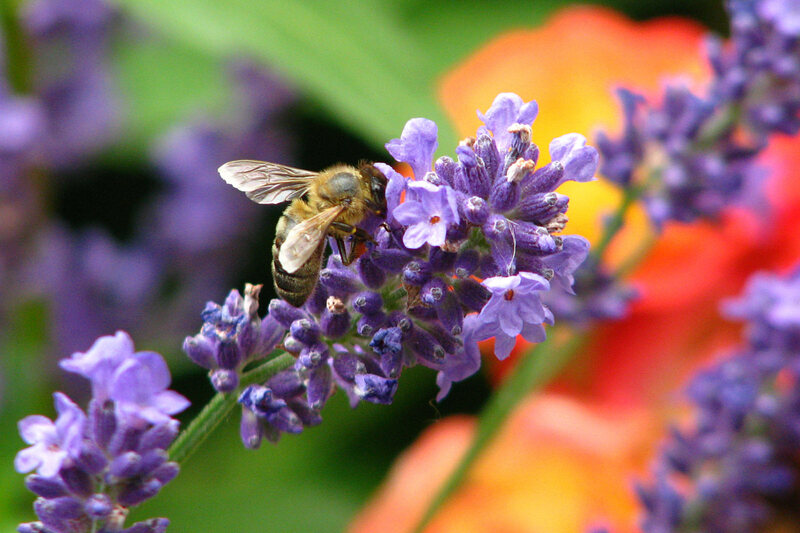 A wasp or a bee tanking up on some unidentified turquoise blooms. 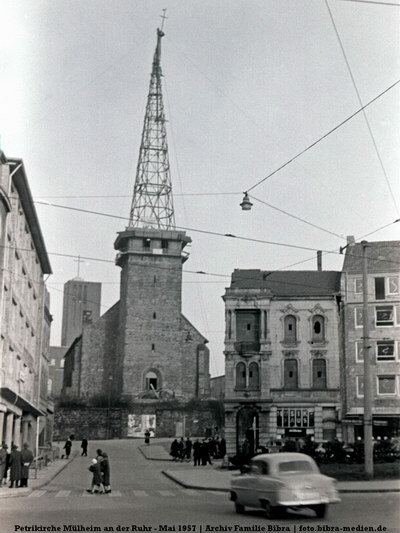 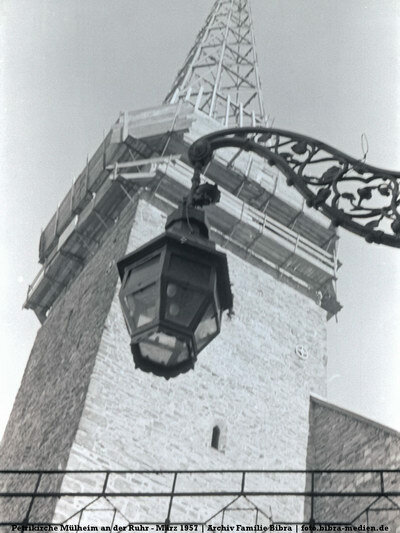 One year after the last photo in the City Views series, this is Mülheim’s Petrikirche in March 1957, with its tower still being rebuilt. There are only very few photos of this in our archive, this is one of them.